Hasp for MUL-T-LOCK TR100 "Hockey Puck" padlock is here! Now the TR100 can be easily mounted and installed into a Mul-T-Lock hasp. 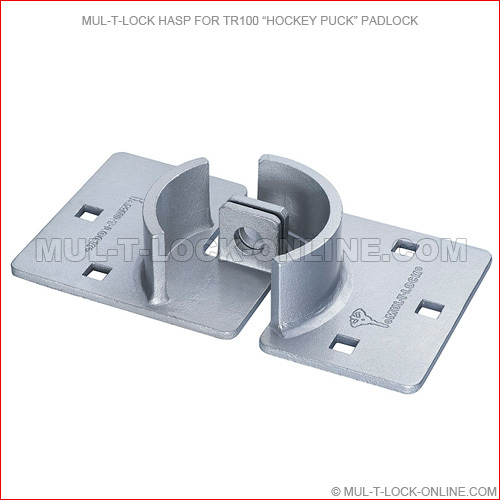 Always a popular padlock solution for vans, the TR100 supports a wide range of uses such as transportation, gate, vending, storage applications and more. 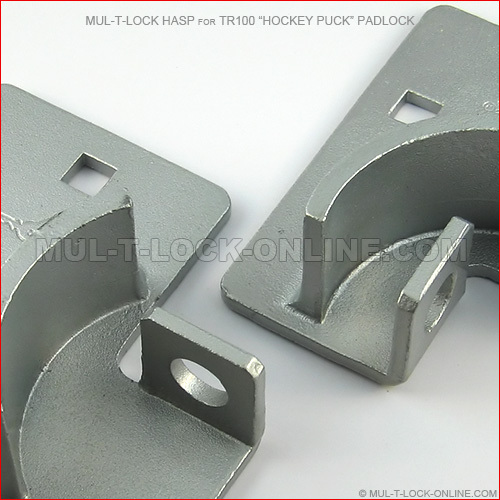 And now, the TR100 "Hockey Puck" Hasp provides the perfect way to secure them.